All packed and ready to sail across the Atlantic, looking for coccolithophores and dust! 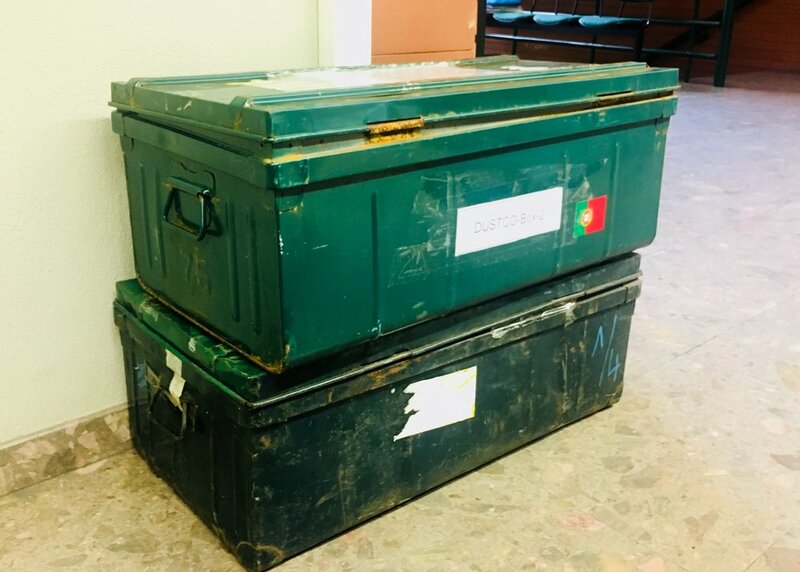 We have just finished packing our beautiful old iron-boxes containing all the lab material for collecting coccolithophores (and dust!) all across the Atlantic Ocean, on board the RRS James Clark Ross (JCR) during the next AMT28 (Atlantic Meridional Transect). Tomorrow we will ship the boxes to the Plymouth Marine Laboratory, from where they will be transported to the ship. During the expedition, we will be crossing different marine settings as we sail from North to South. Environmental conditions typically change with latitude and we expect this to be reflected in terms of changes in the coccolithophore species and abundances. Seasonal variations in sunlight and temperature are usually stronger at higher latitudes, whereas conditions near the equator are usually warm and sunny throughout the year! Since our expedition will "only" take 1 month we won't be able to capture such seasonal imprint. Yet, we will have access to how marine conditions change in latitude across the Atlantic for the same time of the year. And because the Saharan dust is blown into and over the Atlantic mostly at the latitude of the trade winds, we might find interesting spacial ecological contrasts related to its influence! Here is the trajectory of the forthcoming AMT28! Newer PostOff they go, to embark in an amazing cross-Atlantic expedition! Older PostA coccolithophore bloom offshore Cape Blanc (NW Africa)!